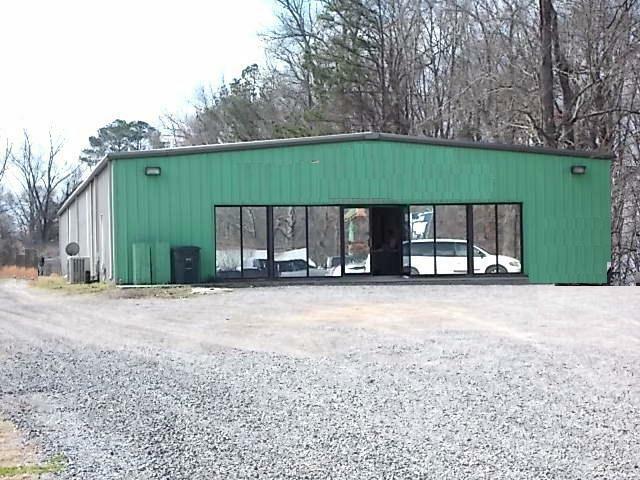 This building is a metal building on a concrete slab and contains 6303 Sq ft. The front of the building is an office area containing 1877 sq ft this area is completely finished with 3 offices, conference room, bath, reception area, file & copy area and a file area. the rear of the building contains 4426 sq ft it is a shop and storage area. The entire building is heated and cooled. 1 of the units is new. A large gravel parking area in the rear is ideal for large trucks. Road signage is located on the property as well. Listing provided courtesy of Deborah Burton Realty, Llc.